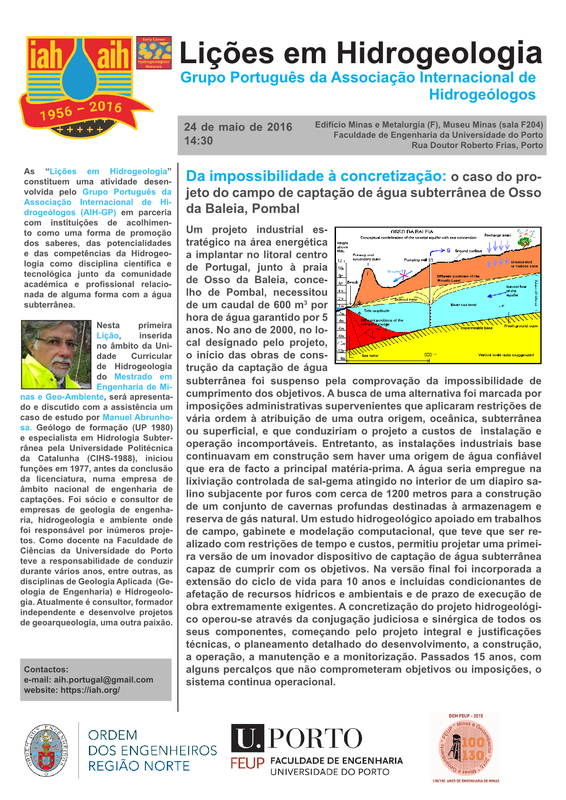 The “Lessons in Hydrogeology” are an annual series of itinerant lectures recently enacted by the Portuguese Chapter of the International Association of Hydrogeologists’ with the support of hosting institutions. With the aim to promote the knowledge, potential and competence of Hydrogeology as a scientific and technological discipline amongst academic and professional communities that are in any way connected to groundwater. 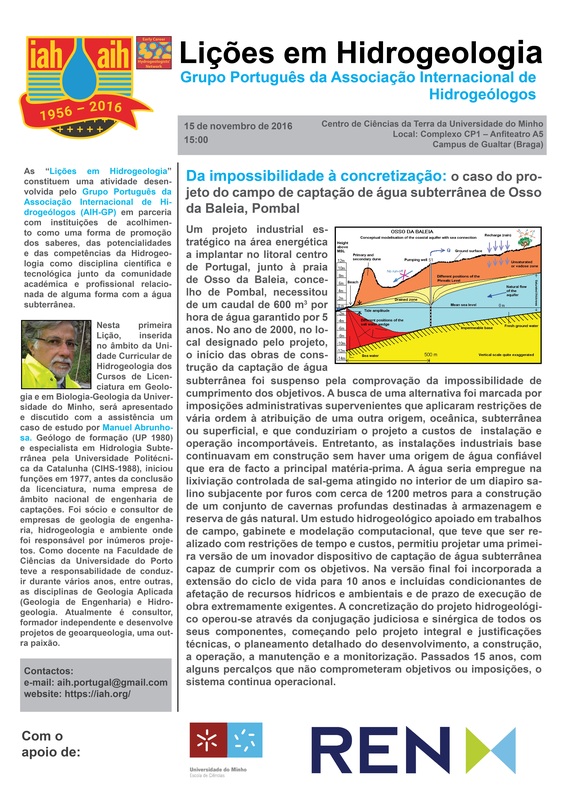 The Lessons are focused in particular towards future or early career hydrogeologists’ with the intent to stimulate them by bringing together professors and professionals from the region in a broadly convened event. Each lecture deals with a specific subject or case study and includes dissemination of IAH and ECHN, being followed by a period of open discussion. For the students, these will be participative “classes” which will stand out from their normal curricular activities and challenge them to interact with the other participants and look at hydrogeology from different perspectives and experiences, testing their scientific creativity and critical thinking. For the established professionals, the Lessons present an opportunity to enhance connections between the academic and research community and the real-world application of hydrogeological knowledge and technology. The same Lesson will travel to several institutions within Portugal over the period of a year, in order to decentralize knowledge and promote its’ dissemination. The 1st Lesson was sponsored by REN – Redes Energéticas Nacionais.